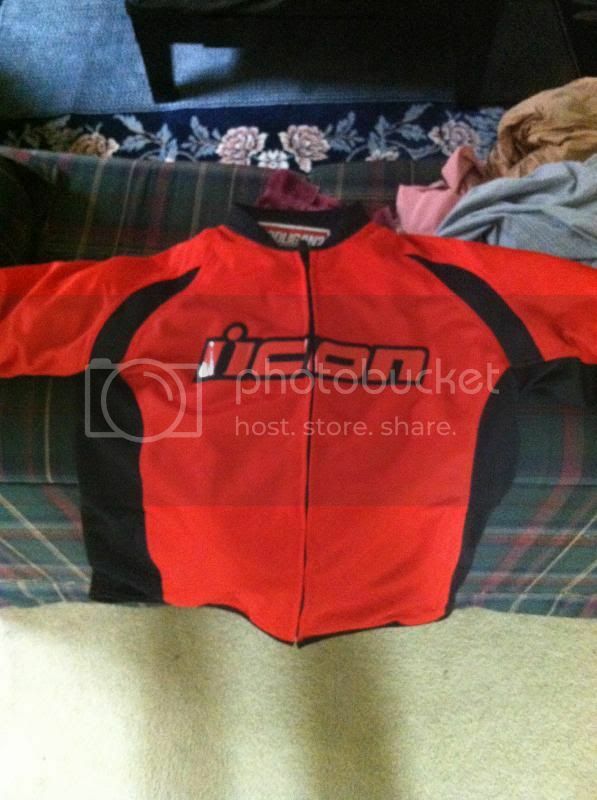 Almost brand new Icon jacket 10/10 condition. Has all the armor and the liner. Got it and it doesn't fit me right. Interested in trades for other jackets or gear.